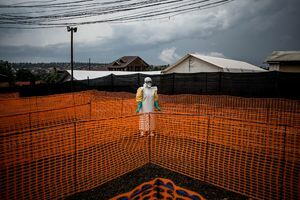 A quarter of people interviewed in the eastern Democratic Republic of the Congo last year during the ongoing Ebola outbreak believed the deadly virus wasn't real. 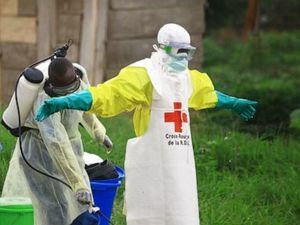 Doctors Without Borders said they will suspend operations of several Ebola clinics in Eastern Congo following a series of attacks in recent days. 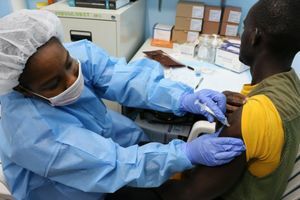 More than 500 people have died from the latest outbreak of Ebola in the Democratic Republic of Congo, but a vaccination programme has prevented thousands more deaths, the country's health minister... told AFP. The post Latest Ebola outbreak in Congo kills over 500; govt says new vaccination programme saved 'thousands' appeared first on Firstpost. Online training has increased the knowledge of health care workers about effective prevention of Ebola up to 19 percent and reduced critical errors to 2.3 percent in a small cohort. These findings... suggest that the program could improve protection of health care workers from Ebola and, because it will be easily accessible via the Internet, could be especially useful in low-resource settings. 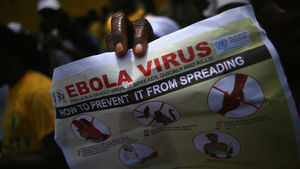 The number of people killed in an Ebola outbreak in eastern DR Congo has risen to 443, health authorities have announced. World Health Organization launches inquiry after claims of 'legendary' corruption, including racism and sexism Claims that a senior employee at the World Health Organization misused Ebola funds to fly... his girlfriend to west Africa are among a tide of allegations under investigation by the agency. An internal inquiry has been launched by the WHO following a series of anonymous whistleblower emails that alleged widespread racism, sexism and misspending. A team of researchers have discovered the interaction between an Ebola virus protein and a protein in human cells that may be an important key to unlocking the pathway of replication of the killer... disease in human hosts. Person being monitored in Nebraska was providing medical assistance in Congo. 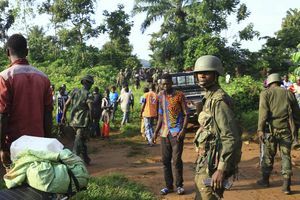 The Democratic Republic of Congo's electoral commission denies voters in the east of the country their first chance at a democratic transfer of power, sparking violent unrest. The ongoing Ebola outbreak in the Democratic Republic of the Congo has reached an especially tragic milestone. 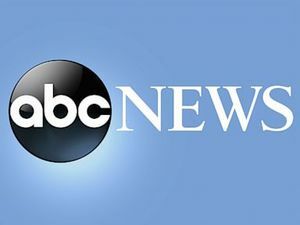 According to the World Health Organization, the outbreak is now the second-largest... recorded in Ebola's 42-year-long known history. A vaccination programme is being hampered by armed rebel groups, health officials warn. Congo faces its tenth outbreak of Ebola, killing 11. The war zone witnessed WHO officials fanning out to contain the disease The post Ebola’s tenth outbreak in conflict-hit Congo kills 11, WHO... officials fan out to contain disease in rebel held areas appeared first on Firstpost. 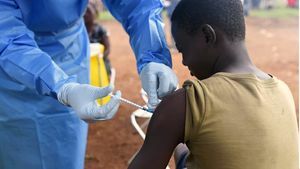 Despite promising advances, important scientific questions remain unanswered in the effort to develop a safe and effective Ebola vaccine, according to members of an international Ebola research... consortium. The experts now review the current field of Ebola vaccine candidates and clinical trials and highlight key gaps in knowledge that need to be addressed by future research.